Beginning in January 2019, Alameda County Transportation Commission will participate in a number of “pop-up” events for the Interstate 880 (I- 880) Interchange Improvements (Whipple Road/Industrial Parkway Southwest and Industrial Parkway West) project. 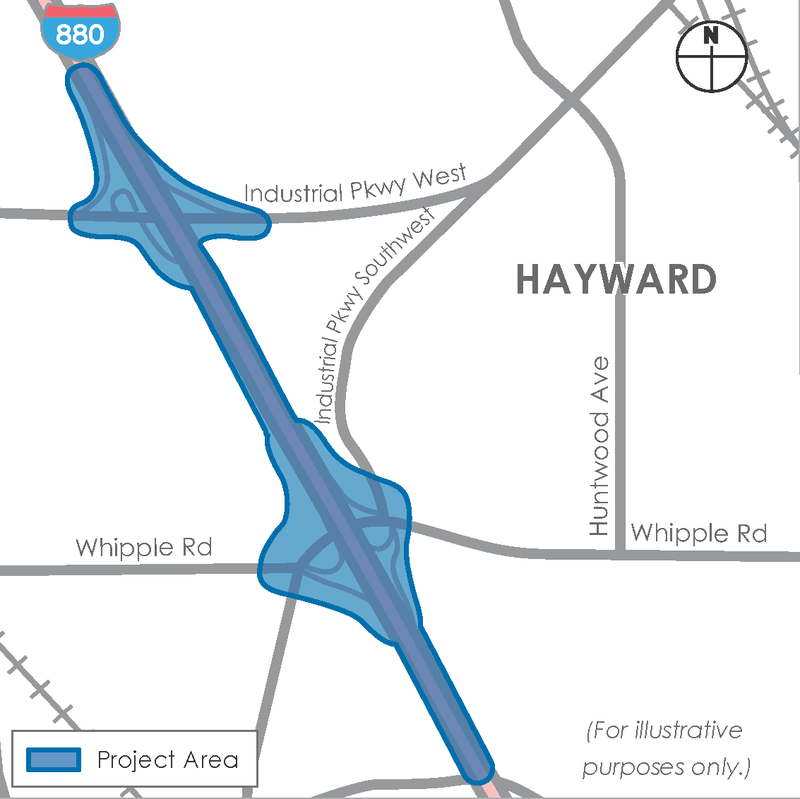 Located in the City of Hayward, this proposed project will implement full interchange improvements at the I-880/Whipple Road interchange, including a northbound off-ramp, a southbound HOV bypass lane on the southbound loop off-ramp, bridge reconstruction over I-880, and surface street improvements and realignment. Due to their close proximity, these projects are being combined for project development.